Is It Hard to Become a Cop? Criminology is the study of the law enforcement and criminal justice system. A person looking for a career in criminal justice will very likely first seek to earn a criminology degree. While criminal justice and criminology are certainly related fields, they are not identical. What is criminology? "Criminology" is derived from the Latin crimen, which means accusation, and the transliterated Greek logia, which has come to denote "the study of," therefore the study of crime. Criminology is a branch of sociology and has, in effect, been studied in one way or another for thousands of years. 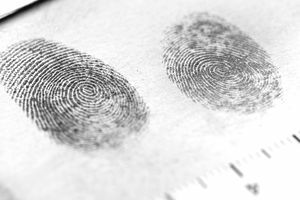 Despite its long history, it has only been relatively recently that criminology has been recognized as a scientific discipline in its own right. Criminologists look at a broad range of topics related to crime. They are dedicated to studying not only the causes of crime but the social impact as well. The end goal of criminology, of course, is to determine the root causes of criminal behavior and to develop effective and humane means for preventing it. It has lead to several schools of thought within the discipline, each of which looks at different factors involved in deviant behavior and each coming to different conclusions about how best to approach the issues. The three primary schools of thought within criminology are the Classical School, the Positivist School, and the Chicago School. The Positivist School suggests that there are other factors at work in deviant behavior besides simple pleasure seeking and pain avoidance. Positivism supposes external and internal factors that may be beyond the control of the individual. It includes biological, psychological, social, and environmental causes. The positivist school was the first to apply the scientific method to the study of human behavior. It served to advance the field of criminology as an accepted and respected scientific discipline. One of the earliest and best-known proponents of positivist thought, Cesare Lombroso, looked at physiological features of criminals such as the shape of their skulls and the height of their cheekbones to suggest that biology may precondition certain people to tend toward criminal behavior. It, of course, has long been discredited, but the positivist school's belief that a study of crime must include the environment in which the crime occurs remains relevant. Also known as the Ecological School, the Chicago School was first developed during the 1920s in the sociology department at the University of Chicago. This school of thought advanced the idea that human behavior was, at least partially, determined by social structure. It takes into account psychological and environmental factors in seeking to determine the causes of deviant behavior. The Chicago School notes that human beings adapt to their environments. A destructive social environment, such as growing up in poverty, for instance, leads to a breakdown in the social structure. This environment both hampers the ability of a society to deal effectively with the crime that results and fosters a criminal mentality in the community that drives crime within it. The field of criminology has led to improvements across our criminal justice system, including our response to crime and our treatment of both victims and criminals. It continues to help us better understand the real costs of crime for all involved and society as a whole. Criminology has led to even more specialized areas of study, including environmental criminology. It has also brought advancements in police tactics and practices, some of them incompatible with others, such as "broken windows" policing, community-oriented policing, and predictive policing. Careers in criminology are plentiful and varied. Earning a degree in the field can open doors to academic pursuits or advanced studies in areas such as forensic psychology, or provide a solid foundation for a criminal justice career. Either way, criminology can be a fascinating and rewarding field.